Efforts are underway to prevent the Labor Department’s Overtime Final Rule from becoming effective as scheduled on December 1. Last week, the House passed a bill that would delay implementation of the overtime rule by six months (until June 1, 2017). Senator Lankford (R-OK) has introduced a Senate companion bill, but the White House made clear that President Obama would veto the measure if it reached his desk. With Congress recessing until after the elections, there is little time for it to block the overtime rule through legislative action. Earlier in September, 21 states and dozens of Chambers of Commerce filed two lawsuits in federal court in Texas seeking to strike down the overtime rule. The complaint of the states challenges the power of Congress and the Labor Department to set wage standards for non-federal public employees. The states assert that “Congress does not have the authority to dictate to states how, or how much, they must pay their state employees.” To prevail, the states must get the U.S. Supreme Court to overturn its own precedent from the 1980s. The business groups’ suit claims that the DOL regulations are “arbitrary and capricious,” an allegation that carries a heavy burden of proof. Both lawsuits say the revised rule’s “escalator provision,” automatically increasing the salary threshold every three years, violates the federal rulemaking requirement for notice and comment periods before changes can be made. Congress Funds Start of Fiscal Year: With two days before the beginning of the 2017 fiscal year, the Senate and House approved a 10-week spending bill, known as a continuing resolution, that will fund federal government operations through December 9. Congress immediately left town after passing the CR, and is not expected to return until the week after the November 8 elections. SCOTUS Term Opens Today: Tuesday, October 4, is opening day for the new term of the Supreme Court of the United States. The Justices have agreed to hear nearly 40 cases so far this term, including appeals concerning separation of church and state, congressional redistricting, the President’s appointment powers, the death penalty, and several cases involving race. On one or more cases, the Court could be deadlocked at four votes to four, given the death earlier this year of Associate Justice Antonin Scalia and the failure of the Senate to confirm a new Justice to take his place. Paid Sick Leave for Employees of Federal Contractors: Federal contractors will be required to provide seven days of paid sick leave annually to employees, according to a new rule finalized by the U.S. Department of Labor last week. Like a similar mandate issued last year on the payment of an elevated minimum wage, the new rule applies to for-profit and a few nonprofits that perform construction work, services covered by the Service Contract Act, contracts for concessions, and contracts in connection with federal property or land management. The new requirement does not apply to most nonprofits that provide services directly or indirectly pursuant to federal grants, which are governed by the OMB Uniform Guidance, and not by the Federal Acquisition Regulations that apply to contracts. Calling a recent Minnesota Supreme Court decision against the City of St. Paul "unambiguous," the City of Duluth is dropping its own controversial street fee it had imposed on foundations, nonprofits, and other residents. In August, the state Supreme Court ruled that local governments in Minnesota may not evade the property tax exemption of foundations and charitable nonprofits by disguising a tax by calling it a "fee." The court’s decision adopted the reasoning presented in an amicus curiae brief filed by the Minnesota Council of Nonprofits, which stated: "When municipal taxes collected for the provision of general city services are recast as fees, as the City [of St. Paul] has done with its [right of way] assessment, the privilege and entitlement of tax-exemption is wrongfully and detrimentally eroded." Acknowledging that the decision requires that Duluth also stop charging unconstitutional fees, the latest budget of the Mayor now calls for the fee to be dropped in keeping with constitutional requirements. As a result, Duluth nonprofit and foundation property owners will be exempt from the added costs. Voters on November 8 will have scores of ballot measures to decide on issues ranging from healthcare and education to marijuana and minimum wage. In 2016, voters in 35 states will consider 165 statewide ballot measures, 74 of which were put on the ballot by citizens through signature petitions, rather than by state legislatures. According to Ballotpedia, an independent research organization that tracks ballot issues, interested parties have raised nearly $400 million this year to influence the outcomes of ballot measures. Three reasons have been identified for the great influx of cash. First, fundraising for ballot measures has fewer limitations and regulation than for political candidates. Further, gridlock at the federal level has spread to state governments, leading citizens to take the legislative process into their own hands. Third, partisan interests wanting to turn out their base to vote for their candidates often work to get particular issues on the ballot that will motivate their base to show up to vote. See coverage by Governing for more information on specific subject areas. A first-ever analysis of state charity regulators from the Urban Institute and Columbia Law School provides insights into enforcement approaches used and operational challenges faced. According to the report, State Regulation and Enforcement in the Charitable Sector, enforcement activities by state charity regulators range from sending a warning letter to a nonprofit (the most frequent form of enforcement) to seeking a court order to dissolve a charitable organization (the least-used tool). The report found that most state charity regulator offices don’t have effective databases, and – like nonprofits – most wish they had more resources overall and especially more for staff training. Importantly, the report found that state charity regulators rely most frequently on state nonprofit associations as collaborative partners in educating nonprofits about their legal obligations. New York City’s Mayor recently established the Nonprofit Resiliency Committee, which is charged with identifying, designing, and initiating solutions that support the nonprofit human services sector upon which the City and public rely. The co-chair of the Committee explained at the initial meeting last Thursday that a key goal is “to improve the ways that government and the nonprofit sector work together.” The Mayor appointed City officials and leaders from charitable nonprofits, foundations, and academia in order to build opportunities to collaborate and expand lines of communication. Sharon Stapel, President of the Nonprofit Coordinating Committee of New York (NPCC) and member of the Committee, said she looks forward to “contributing to the work to find efficient and effective ways to address issues critical to nonprofits and build capacity to allow nonprofits to become and remain sustainable.” New York City, which is where one of the most notable nonprofit organization collapses occurred due in large part to problematic government contracting practices when dealing with nonprofits, has been working toward more streamlined contracting policies and practices. 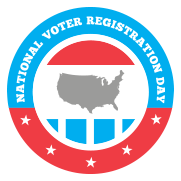 More than one million Americans registered to vote last Tuesday as a result of National Voter Registration Day (NVRD), according to an early report from Nonprofit VOTE. This progress occurred thanks in large part to proactive, nonpartisan efforts by more than 4,000 nonprofit organizations across the country, with lively assistance from multiple other partners. The preliminary results of the on-going voter registration efforts are quite impressive, but this important work is not done. Helping that many individuals get registered to exercise their constitutional right to vote is worth celebrating, but we all still need to focus on helping others register to vote before the final deadlines expire. Registration deadlines vary significantly between states, from 30 days before the election to same-day registration. For details about your state, visit this USA.gov website: Voter Registration Deadlines for the General Election by State. And of course, none of this matters if people don’t then use their right to vote. As Donna Murray-Brown of the Michigan Nonprofit Association said so well, “Supporting voter engagement is an essential part of our work, because it helps to empower the people and communities we serve.” Jatrice Martel Gaiter of Volunteers of America eloquently urged nonprofits to “aggressively encourage the people who trust and know us to vote." Research shows that nonprofits are more effective at reaching disenfranchised communities, and that voters engaged by nonprofit groups turn out to vote at higher rates than other registered voters across all demographic groups. Learn more about how to conduct nonpartisan get out the vote (GOTV) efforts by joining the October 13 webinar by Nonprofit VOTE or check out the Nonprofit VOTE GOTV resources. What do you expect in 2017? In January, the National Council of Nonprofits published 2015-2016: The Years in (P)Review, highlighting a dozen public policy challenges, opportunities, and emerging issues at the state and local levels across the country that affect the work of charitable nonprofits. The Council of Nonprofits is starting the process of updating the report to provide insights and guidance for 2017. For that, we’re seeking your input: What do you see ahead at the state and local level that will be the big policy challenges and opportunities for your organization in 2017? Share your thoughts today. Nonprofits Get Out the Vote in 2016! The webinar focuses on what your organization can do in the final weeks before Election Day to use your communications and contacts on a nonpartisan basis to make sure that your staff, volunteers, and the people served get out and vote. Register now! --Donna Murray-Brown, President and CEO of the Michigan Nonprofit Association, writing Nonprofits Have an Important Role in Voter Engagement, MNA blog, September 27, 2016. The Power of Nonpartisanship, David L. Thompson, National Council of Nonprofits blog, September 26, 2016, stressing the legal right, power, and breadth of election activities in which nonprofits can engage, as long as they always remain nonpartisan. Promises and Price Tags: A Preliminary Update, by the bi-partisan Committee for a Responsible Federal Budget, September 22, 2016, updating its earlier analysis of the tax and other policy proposals of the leading presidential candidates.